Extend understanding of fractions by making modern paintings in the style of Piet Mondrian. 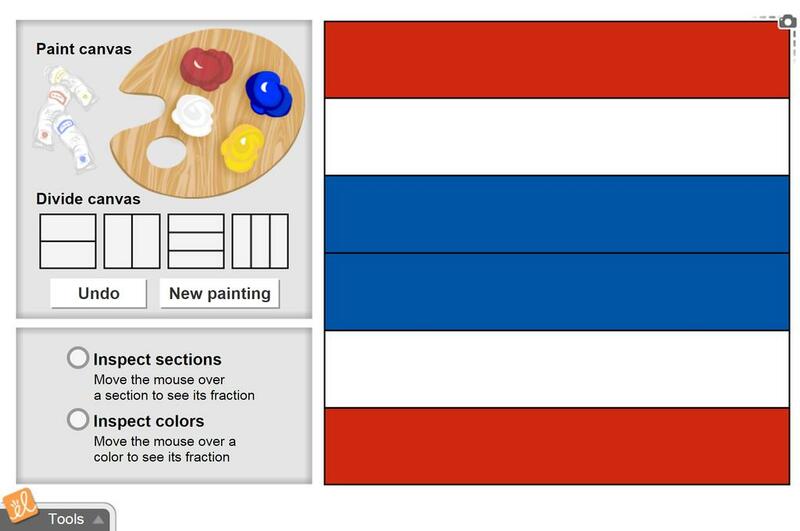 Create and analyze paintings with different-sized sections. Compare the sizes of unit fractions. Find creative ways to color one-half of a painting. This can be a nice introduction to adding fractions with unlike denominators. Students are asked to create a painting with the Fraction Artist Gizmo. They are given a set requirements... (more) for the painting and are asked to answer questions about their finished product. Create great art while learning about fractions. Show them the painting "Voice of Fire", and its pricetag, and watch them work.